These additional features make the KG30 PRO a 'must have' for the professional dry ice blaster. When combined with the IT3 nozzle kit, the IceBlast KG30 PRO becomes the "Everything Machine." The IT3 kit comes with a 'splitter' which breaks the blasting dry ice pellet into smaller, granular pieces which allows for a more effective clean. This technology also results in much less dry ice usage than the competition for the same or better clean for a return on investment that cannot be beat. 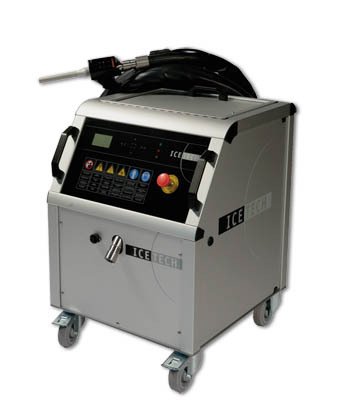 Reduced dry ice consumption is where IceTech truly differentiates itself from its competitors. Noise: Noise level 60-120 dB (A) depending on blasting pressure, nozzle combination, material surface, and other factors.